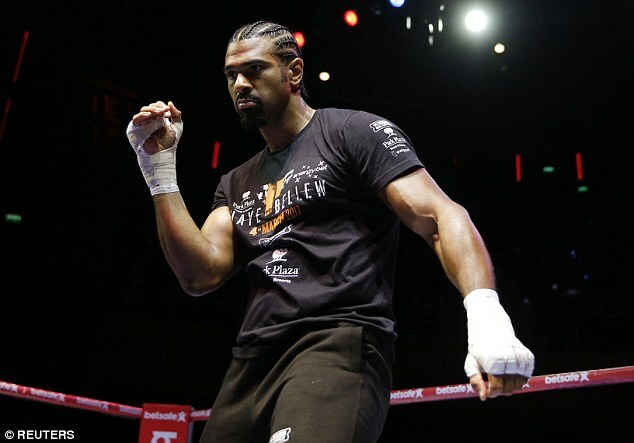 Haye v. Bellew: diva v. fighter? 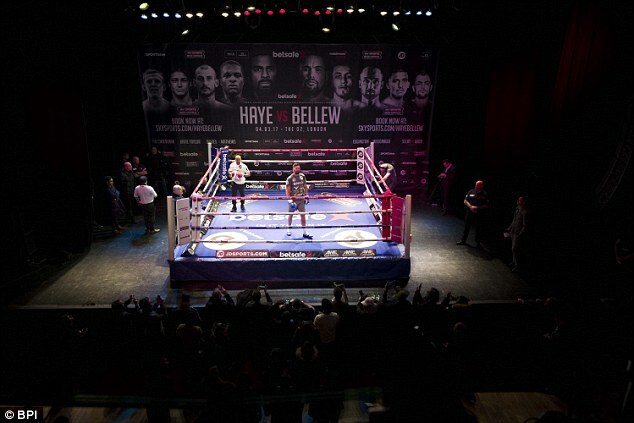 Tony Bellew believes he will crush David Haye in their heavyweight clash on Saturday night. 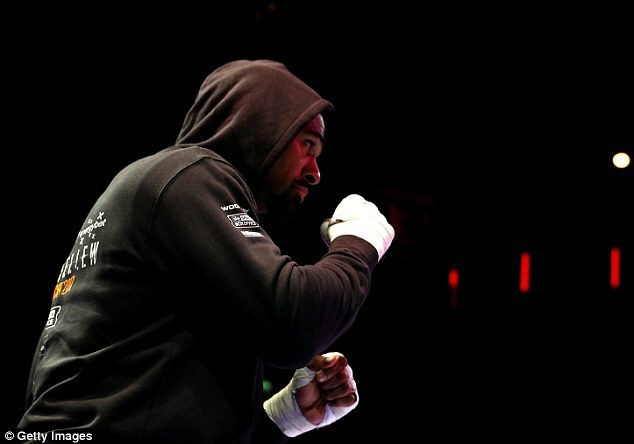 He labelled Haye as a ‘diva’ as the pair took part in open workouts at the O2 Arena with light pad work in the ring. ‘I am in a good place I’ve done everything I can. I am someone who cares about fans not a helmet on a yacht. ‘He’s extremely shook and that is the best way of saying it. All I am hoping for is he doesn’t cry off with some sort of injury. ‘This girl has been going on about what great shape he’s in. He’s just scared because he hasn’t prepared right. ‘I’ve prepared as best as I possibly can. I’ve prepared for a fight an absolute dog fight, he’s been preparing for a fight in a creche. 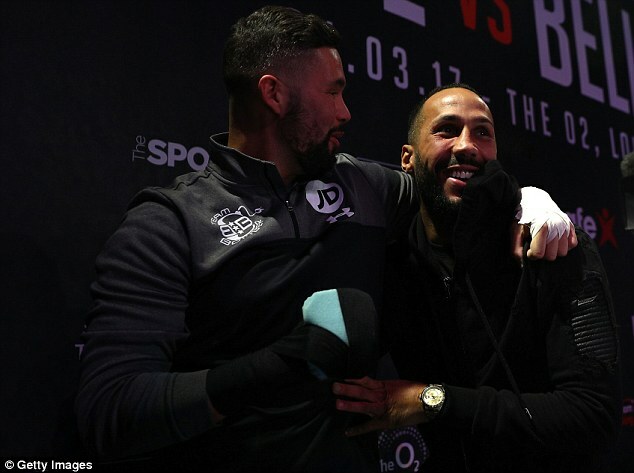 The Merseyside fighter shared a joke with James DeGale before he got to work and appeared to be in a relaxed mood three days out from fight night. 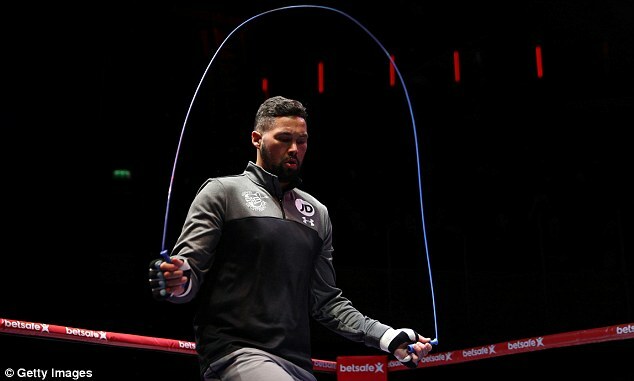 Bellew’s fears that Haye might pull out of the contest at the eleventh hour proved to be unfounded as ‘Haymaker’ took to the ring and looked sharp in his work. After working up a sweat he insisted his body is in great condition. 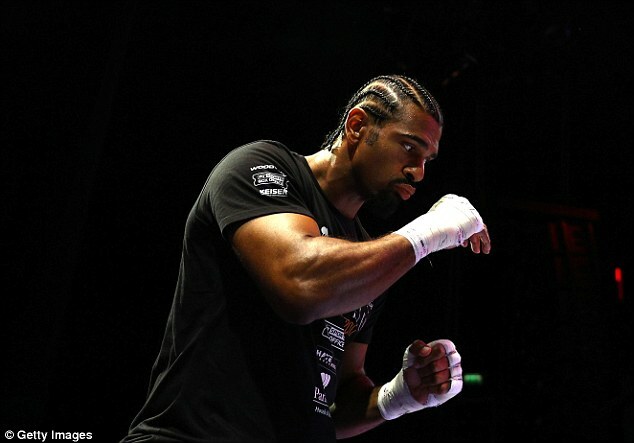 Haye said: ‘Team Bellew have pegged their hopes on me having one arm and one leg. It’s like I’ve found a time machine, I’ve gone back ten years and feel better than ever before. 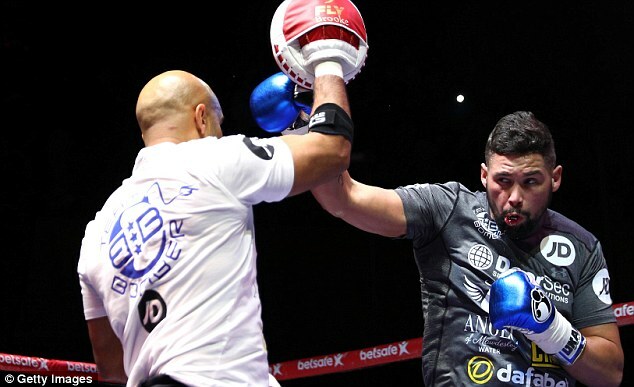 He also admitted Bellew has wound him up in the preparations but he is using it to his advantage. ‘There’s been some ferocity in my punches but never the spite you will see on Saturday night. ‘Nobody has ever got under my skin like him. I’m always motivated but this really helped, all I have to see is his annoying face to get that bit more out of myself. ‘I’m just real happy and healthy, this feels like the real me. 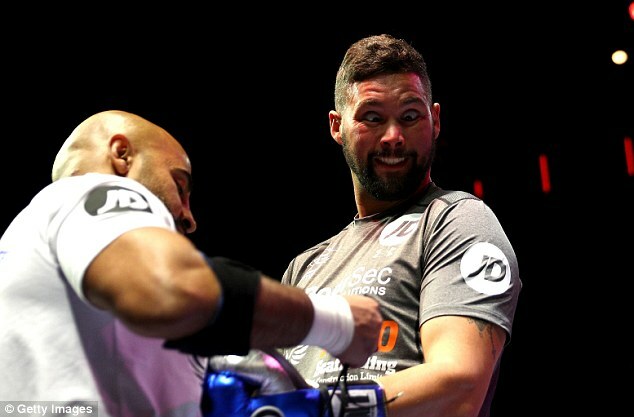 Team Bellew are banking on the unknown, they haven’t seen the 2017 version of David Haye.